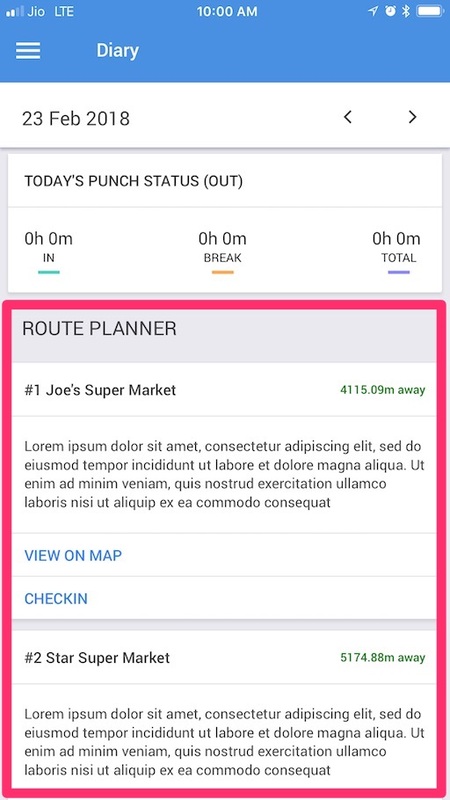 All routes assigned to you will be seen in your diary as soon as you login into the mobile app under the Route Planner section. You can also see how far away you are from your location to the checkin location. To view the checkin location on the map, click on VIEW ON MAP. 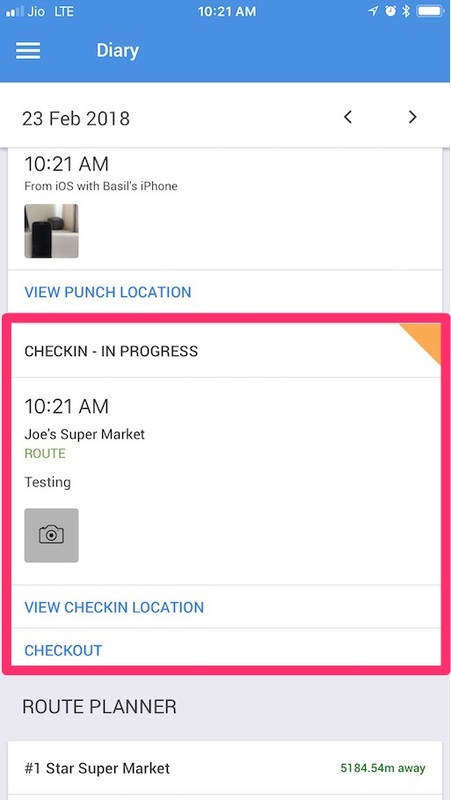 To checkin, simply click on CHECKIN. 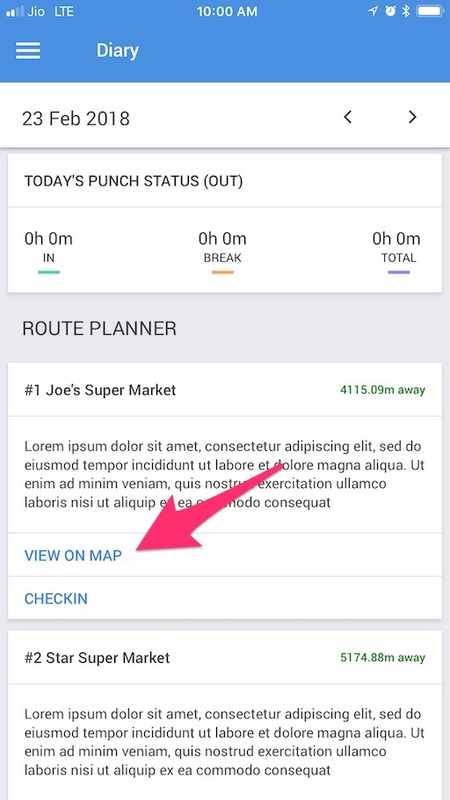 The checkin button will load the map for reference and you can press checkin to confirm. Depending on your company policy you might have to enter a checkin description to continue. Know more about punch settings and how to modify them. 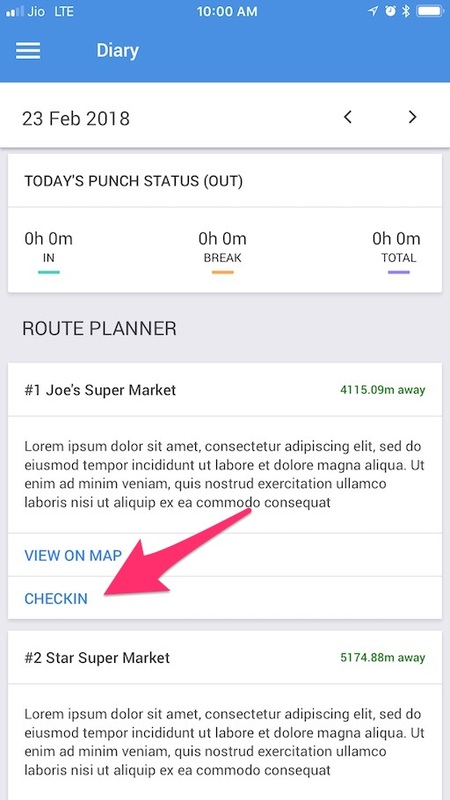 After you checkin, the route location will move up into your diary to show your checked in time. From here you can add photos to your checkin and checkout once done. 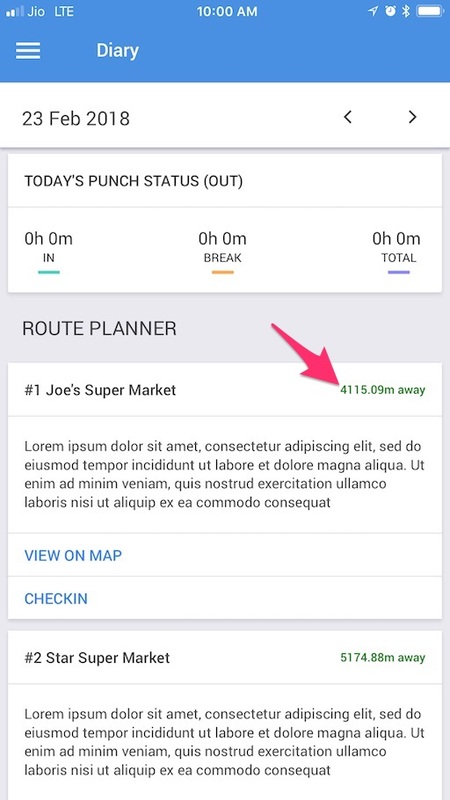 ClockIt will calculate the total time that you spent in that once location. You can also view all the checkin information from your account in the browser.